Take a virtual tour via the mattaport link. WELCOME TO THIS BEAUTIFUL HOME IN THE PREMIER GOLF & COUNTRY CLUB COMMUNITY OF AVILA! 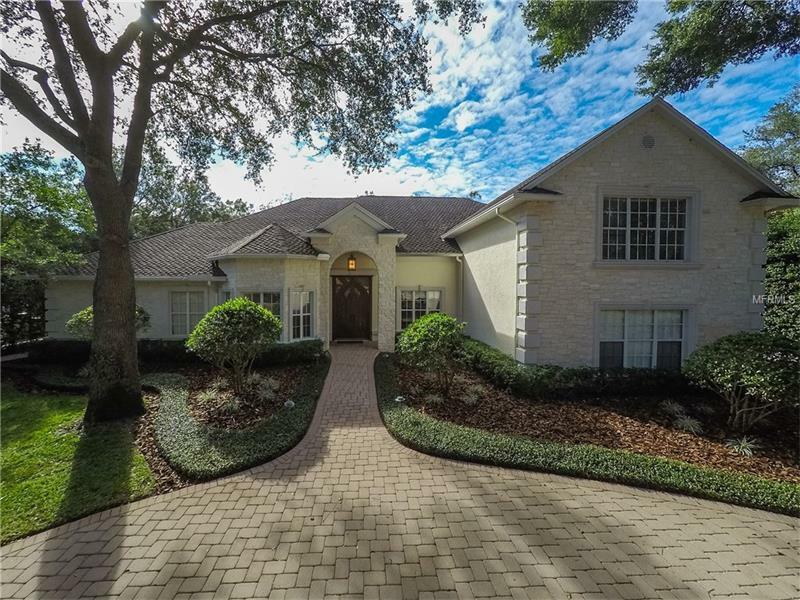 THIS HOME IS SITUATED ON A CUL-DE-SAC WITH A PEACEFUL POND & FOUNTAIN VIEW FROM THE MOMENT YOU WALK INTO THE IMPRESSIVE DOUBLE FRONT ENTRY DOORS! THE FORMAL AREA GREETS YOU WITH MARBLE FLOORS, DETAILED CEILINGS, DUAL SIDED GAS FIREPLACE & SLIDERS THAT LEAD YOU TO THE LAGOON STYLE POOL COMPLETE WITH AN OUTDOOR KITCHEN, KOI POND & 2 WATERFALLS. INSIDE, THE KITCHEN IS A CHEF'S DREAM COMPLETE WITH MARBLE COUNTER TOPS, STAINLESS APPLIANCES & AFFORDS A GREAT ROOM FEEL WITH AN ADJACENT WINE ROOM & FAMILY ROOM AGAIN OPENING TO THE OUTDOOR SPACE ALLOWING THIS TO BE AN ENTERTAINERS DREAM. THIS FIRST FLOOR SPLIT PLAN BOASTS AN OVERSIZED MASTER SUITE WITH A SECOND DUAL SIDED FIREPLACE & SITTING AREA AND 2 CUSTOM CLOSETS AND A MASTER BATHROOM THAT WILL MAKE YOU FEEL LIKE YOU ARE IN A SPA! THE SECONDARY BEDROOMS ARE MORE THAN GENEROUS IN SIZE WITH OVERSIZED WALK IN CLOSETS. THE ENTIRE SECOND FLOOR HOUSES A FULL IN-LAW SUITE INCLUDING KITCHEN, LIVING SPACE, BATH & BEDROOM WHICH IS GREAT FOR A NANNY, FAMILY MEMBERS, OFFICE OR BONUS AREA! THE 4 CAR GARAGE HOUSES MULTIPLE STORAGE OPTIONS AND STILL ROOM TO KEEP YOUR AUTOS & RECREATIONAL VEHICLES HOUSED. THIS LUXURIOUS HOME PROVIDES THE UTMOST PRIVACY IN AN EXCLUSIVE COMMUNITY. CALL FOR A PRIVATE SHOWING.